In the city of suits, Blackberries, and tight-lipped messaging, social media can be a hard sell. Anyone who’s worked for any amount of time in DC knows that most organizations — whether government, nonprofit, or private sector — are obsessed with controlling the message. So it is interesting to see how in the last few years the State Department has been loosening the shackles of “the message” a bit and embracing social media to get its message out both in the United States and countries where the US has diplomatic missions. And it’s about time, really. Last weekI listened to US Ambassador to Russia Michael McFaul talk (via Google hangouts at a DC Social Media Week event) about how he uses Twitter and Facebook to respond to questions and comments from his various constituencies. McFaul tweets a lot for a busy ambassador. (You can check out his feed at @McFaul) He also tweets prolifically in Russian, which he says helps him connect with his audience, even when he makes language mistakes. His tip for using social media to engage an audience in an official capacity? Take your time with your response. Social media moves fast, but you can take your time before responding. McFaul also says he sets aside time after dinner–often a few hours–to respond to tweets and Facebook messages personally. One perception is largely negative, one is positive, and both are stereotypes that social media has the potential to break apart. McFaul said when he heard feedback from Russian that they thought everyone was getting rejected for a US visa, his staff used visa stats to show that Russian nationals were among the top visa recipients in the region. Of course, digital diplomacy initiatives can’t solve everything. Bob Boorstin, Google’s director of public policy, argues that diplomacy is best practiced face-to-face, and that no amount of social media communication could change the Iranian nuclear program. But he says the tools are effecting the scale and speed of communication, as well as introducing new audiences to the State Department’s messages. It’s important to keep in mind that an audience on the Internet will be wealthier and better educated, and has not only access to the Internet, but often access that is not restricted by their own government. Digital initiatives are relatively new to the State Department, and will no doubt evolve and change over the years to address new challenges. Digital Diplomacy The New York Times Magazine profiles two State Department employees leading digital initiatives in diplomacy. The Political Power of Social Media In this 2011 Foreign Affairs article, Clay Shirky examines how social media can affect national interests and political change. #Unfollow: The Case for Kicking Terrorists Off Twitter This recent Foreign Policy essay makes the case for kicking terrorists off the Internet and social media. 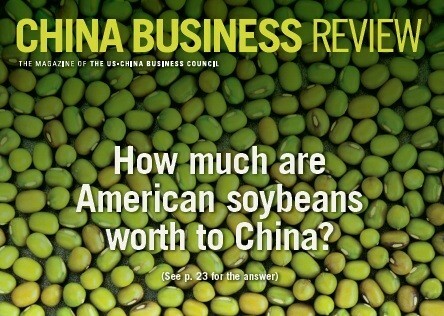 After taking over as editor of the China Business Review, then a quarterly print magazine, I focused on improving our magazine covers, data spreads, and use of photography and design elements. With talented designers at Next Year’s News, we updated the look of the magazine, conceptualized engaging covers and data spreads, and used more photographs and design elements to enhance long-form articles.